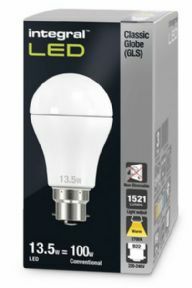 This 13W retro-fit LED Classic Globe (GLS) (large bayonet or B22) delivers a warm light and brightness. With a 1521 lumen output, this lamp is one of only a few true 100W filament bulb replacements available today. It features high output, multi Everlight LEDs, an anti-glare refractor, all finished in an aluminium and plastic, thermally efficient body. Ideal for rooms with a single pendant fitting, living rooms, hallways and kitchens. 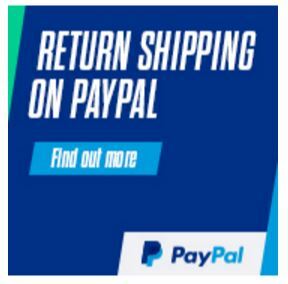 If you require a dimmable version of this product please click the link.